Russian smear tactics in the forefront. If you can’t fight the message, attack the messenger. 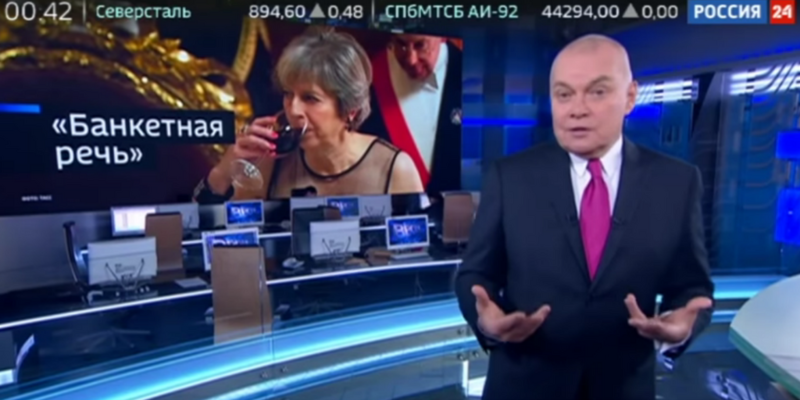 Following British Prime Minister’s very public, very loud, and very damning accusations against Russian Information Warfare, Russia is responding by attacking her. WADA continues its “war against Russia”, was the claim from TV Channel Rossiya 1 in its Voskresnoye Vremya news show. A report followed on how the Olympics have started to resemble a war operation and this is a war without rules.